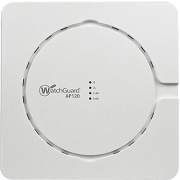 The WatchGuard AP120 is designed for guest WiFi or smaller networks that support limited devices. Ideal for small offices, classrooms and small shops / restaurants, the AP120 delivers comprehensive support and authentication options for known and unknown users. WatchGuard Wi-Fi Solution Information on Basic, Secure and Total Wi-Fi Solutions from WatchGuard.